Moving house to Europe is one of the most stressful times in a person’s life. The upheaval involved can have an impact on not only you, but everybody in your family. If ever there was a time when somebody needed all the help they can get, it’s when they’re moving house. Transporting everything you plan to bring with you from the UK to French property will be no mean feat, so you’ll be glad to take a backseat and let us worry about this aspect of your relocation. 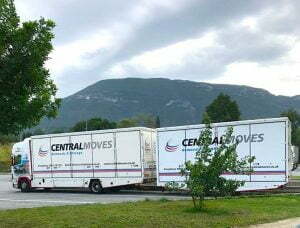 Central Moves is the founder of the Association of Independent Movers (AIM), and we have developed an outstanding reputation transporting families’ belongings to Europe. Widely regarded as the company you can trust, we have built up a lengthy customer database, thanks largely to word of mouth. The fact that you have navigated your way on to our website suggests that you might soon be moving, and if that is the case, we’d like to make you our next satisfied customer. Central Moves is a member of AIM, and our promise is that all of your effects will be transported to your new abode on the continent in the same condition as when we loaded them into the van prior to transportation. Our dedicated removals team have built up years of experience and they fully appreciate the level of care that must be afforded to every item. We have earned the BS EN Certificate for quality assurance, which serves as a further illustration that we insist upon, and deliver, the very highest standards. During the course of the move, every item will have its own protective cover using high quality packing materials. In short, this relates to TV covers, sofa covers, mattress protectors, wardrobe cartons, carpet runners, protective cases for fine art and sturdy coverings for fine furniture ( extra service ). Even your plants will receive expert care with our professional packing service. One of the endearing characteristics of Central Moves is that we insist on a non-pushy moving company, easy-going approach to prospective clients. That means, if you plan to move to France in the near future, and you like what you’re reading here, get in touch with us today for free advice. We can assist with difficult access to your residence by utilising our specialist vehicle that can also carry our small trans-ship vehicle and used at any destination. 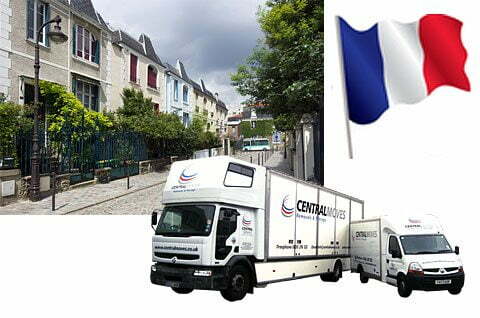 Central Moves also has network of French removals companies who can offer manpower and small vehicles for trans-shipment if required. 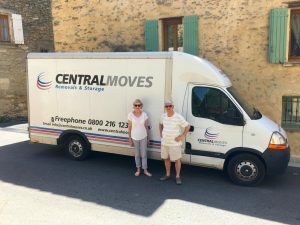 It will be our pleasure to talk you through your options and explain how we will make the removals to France as seamless as possible. Once we have gone through everything, we will present you with a no-obligation quote including packing and storage services where required. This way you will feel under no pressure to make a decision on the spot. 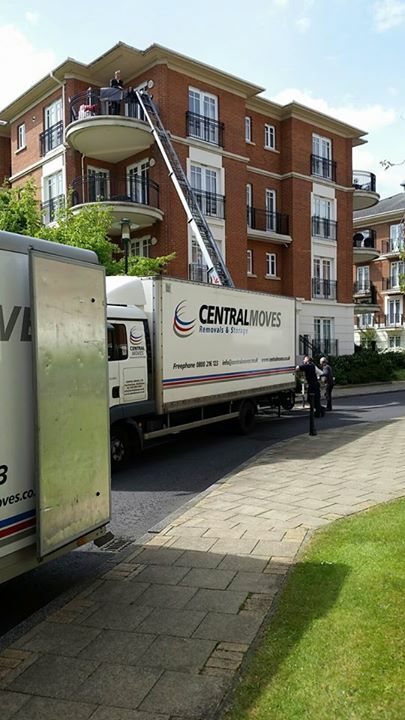 At Central Moves, we understand the level of stress associated with emigrating, so we certainly won’t be pushing you for an agreement. Instead, we encourage you to talk it over with your partner. If, like so many satisfied customers, you are happy with what we are offering, come back and we will set the wheels in motion. All areas of France covered including but not limited to; Antibes, Bordeaux, Cahors, Cannes, Alps, Lille, Lyon, Marsielle, Montpellier, Nantes, Nice, Paris, Poitiers, Provence, Reims, Rennes, Toulouse. 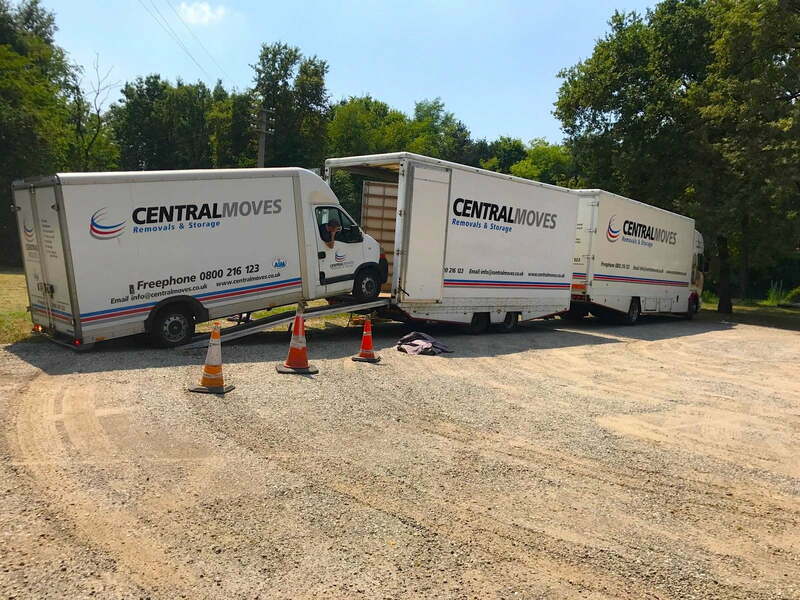 Clients can avail of our full load service, which will provide you with exclusive use of a vehicle’s entire loading capacity to transport your belongings. This is a highly efficient service which will be sure to impress you. What makes the service more economical is that we can load a number of clients’ effects on to the same vehicle. There will be no fear of confusing anybody’s items or losing anything as all clients items are clearly labelled and colour coded..
With our dedicated service you have the sole use of 1 of our removal vehicles, please note this is the only option available for full loads. 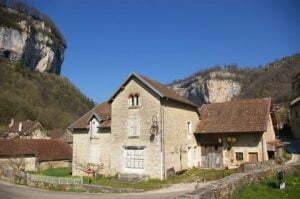 We will collect at your UK address for direct door to door delivery to your French address. This is the fastest method for transporting your effects to France although a more expensive option. Transit time for your removal can be in as little as half a day with our dedicated vehicle service level depending on the volume of effects to be moved and the collection point in the UK/delivery point in France. Our European co-ordinators will advise you on transit times based on your particular circumstances. With our part loads service delivery will take longer due to delivering other clients heading in the same direction as yourself. We are well networked with highly reputable companies across France and Europe and can arrange storage services in all major cities and many smaller destinations. Each customer’s effects are numbered, electronically labelled and itemised, while the vehicle is cordoned off into sections dedicated to each client. When your belongings have been given their rightful place in your new home, you can then start to enjoy all the benefits of French lifestyle. This is a fantastic country which boasts varying cultures and traditions in its different regions. France is a popular destination for people of all ages, largely because of the quality of life that its citizens enjoy and the impressive healthcare system that is in place. Whether you are relocating there to work or retire, it really is a top-class destination. Now that you’ve read about our ultra professional approach that guarantees customer satisfaction, it’s back over to you. Get in touch with us today for a free quote. 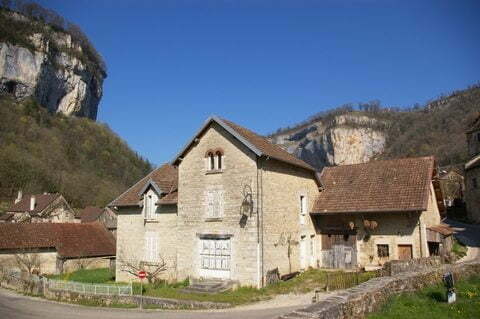 If you are a British citizen or British subject with right of abode in the UK, you do not require a visa to enter France. A valid British passport must be held for entry to and exit from France as a visitor. There is no minimum passport validity requirement but you should ensure that your passport is valid for the duration of your visit. You must also carry proof of identity at all times. French health insurance is administered by the social security system; “Sécurité Sociale”, and your “Caisse Primaire d’Assurance Maladie”. For residents in France, a “mutuelle” (top-up insurance cover) covers the cost of healthcare that is not covered by a Carte Vitale. Mutuelle services are provided by insurance companies and there are many different offers to consider. In order to obtain a social security card for health care; a “Carte Vitale”, you must first register with your local CPAM; you are advised to contact them in order to obtain details of the documents they require for registration. This is a must the French national health service works in a very different way to that of the UK, the main difference being that you often have to pay for your treatment upfront, and then claim the cost back from the authorities. This is something you have to bear in mind if you move to France. Costs are not always reimbursed completely either, leaving the patient to fund the shortfall, and this is where top-up health insurance (known as a complémentaire or mutuelle) comes in. Top tip: take out a top-up health insurance policy if you’re relocating to France, unless you are prepared to pay the extra charges yourself. The UK basic state pension is payable in France. If you are moving from the UK you should inform the IPC of the changes to your circumstances. This will prevent any problems with your pension payments. It will also help you to get the right access to healthcare in France. If you spend longer than six months of the year in France with your UK-registered car, French law states that you must register your vehicle with the French authorities. For information on how to do this, please contact your local prefecture. Further information can be found on the official French administration website. UK-registered vehicles being driven in France must comply with all UK requirements for road tax, MOT, and third party insurance covering the whole period the vehicle is used in France, up to the six-month limit.